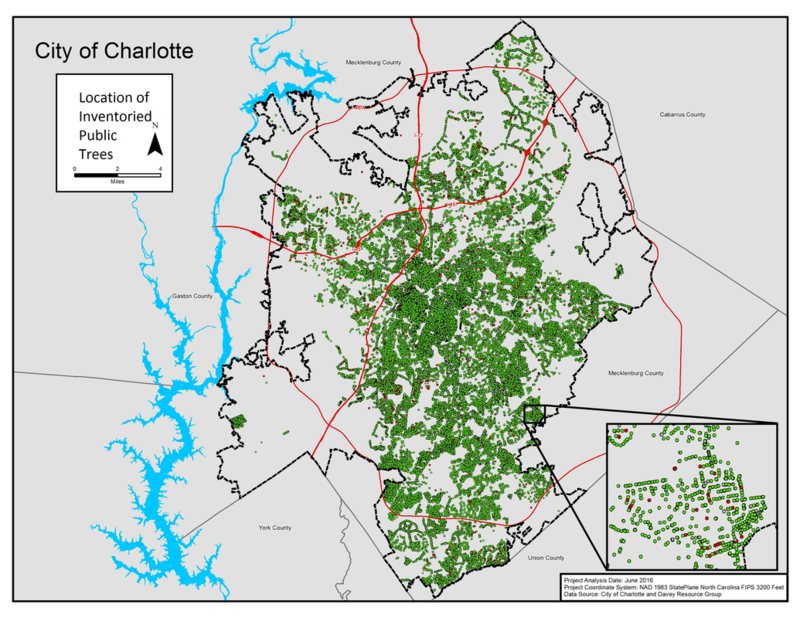 ​This urban forest master plan was developed by and for the City of Charlotte and TreesCharlotte in 2016 to provide a long-term vision and direction for the care, preservation, and improvement of the city's overall tree canopy. Developed with leadership and expertise from Davey Resource Group, the plan collected input from almost 40 organizations and 3,000 individual citizens. This long-term strategic plan is a logical next step for Charlotte, following an early development of a tree protection ordinance, appointment of a city tree advisory committee, the city council's 2011 adoption of a 50% canopy goal by 2050, and formation of TreesCharlotte in 2012. The first step in developing a plan is assessing the urban forest (see The State of the Urban Forest for assessment results). There are various schools of thought and systems to define, evaluate, and assess the health and sustainability of an urban forest. Because urban environments are man-made, a true assessment requires looking beyond just the tree data. Survival of an urban forest hinges greatly on human activity. For this reason, an urban forest assessment must include social and economic components. What is a sustainable urban forest? For the purposes of this study, the concept of sustainability is defined as the ability to maintain the urban forest for some time into the future without compromising the ability of future generations to do the same (Clark 1997). Is the urban forest healthy enough to remain intact with minimum care? Are the financial requirements of the urban forest realistic for years to come? Is the value of the urban forest understood by all local players that actively impact trees in Largo? ​​​Urban Tree Canopy (UTC) Data. A UTC assessment is an analysis of aerial imagery in digital form designed to assess the amount of land covered by tree canopy, hard surfaces (roads, buildings), low vegetation (e.g., lawns, fields, shrubs), open water, and bare soil. UTC assessments measure the entire urban forest, comprising both public and private lands. This data can be analyzed to measure location and changes in tree canopy, heat island issues, and many other advanced analyses. Once completed, this electronic data is typically owned and housed within a county or municipality GIS department, where the data can be utilized in further analyses and project planning by anyone in the community. Learn more about Charlotte's canopy. ​Public Tree Inventory Data. ​A tree inventory is a catalog of all public trees managed by the city. The most widely-used method involves field staff on the ground inputting a range of information on each tree into handheld devices. Like UTCs, data can be stored in a GIS-based technology system for management planning. The data collected (species, size, condition, risk level, etc.) 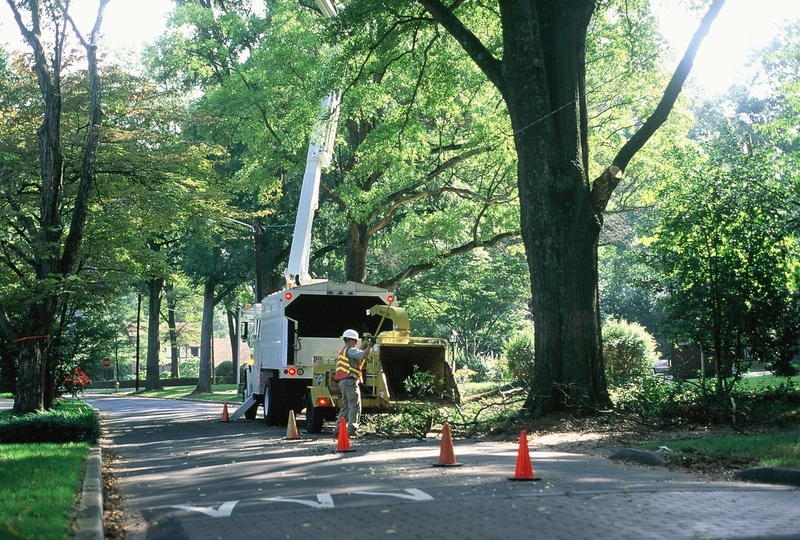 are integral to effectively managing the tree infrastructure, especially for public safety and risk exposure purposes. Learn more about Charlotte's public trees. ​Management Practices/Budgets. 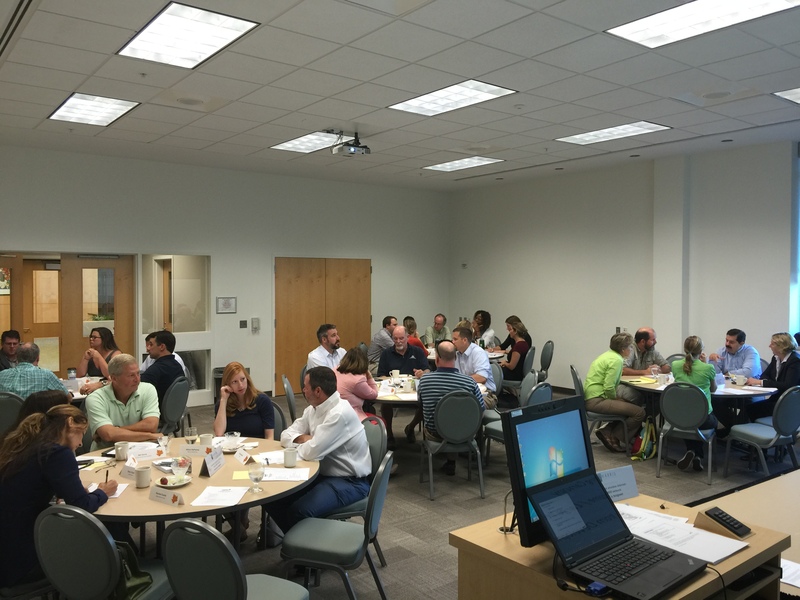 City staff provide a significant amount of data and input on current practices and challenges. The city maintains nearly 180,000 trees along the street right-of-way and thousands more on city properties. The city is responsible for care, preservation, and advocacy of the city’s public trees. This group is a part of the city’s Landscape Management Division in the Engineering & Property Management department. 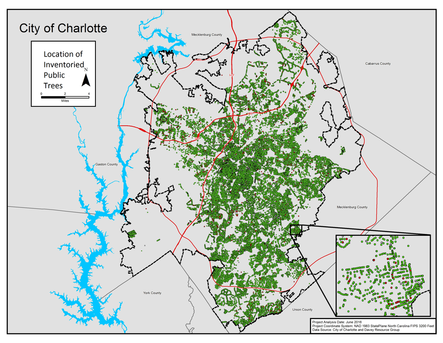 Learn more about the management approach to Charlotte's trees. During summer 2016, almost 50 stakeholders in the city participated in three meetings, each of which focused on the categories of indicators (trees, players, management approach). Additionally, more than 20 stakeholders participated in individual interviews as well. See the full list of participating organizations. Public Input Meetings. Public meetings were held in July 2016 in three regions of the city through the use of church facilities and open to all. Download summary of the public meetings here. ​Public Survey. A survey to gauge the level of support and knowledge of the urban forest was created and distributed in May, June, and July 2016. Over 2,800 responses were received, and comments have been incorporated throughout this plan. Full results of the survey can be downloaded here.